This entry was posted on Saturday, August 4th, 2007 at 10:50 pm	and is filed under Sorbets. You can follow any responses to this entry through the RSS 2.0 feed. You can leave a response, or trackback from your own site. What a delicious sorbet, Brian! I don’t think we can find tangelos here, would it work with tangerines? Hi Patricia,I bet it would work great with tangerines or oranges. 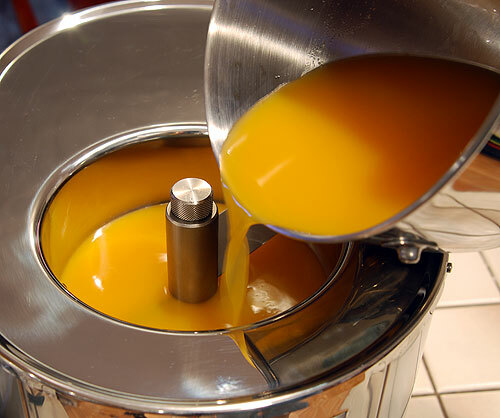 Tangelos are super juicy and the ones I used were large, so plan on using a lot of tangerines to get to around 4 cups of juice. What a terrific summer splurge. I like the use of local fruit from the farmer’s market. Have you thought of trying to source as many ingredients as possible from local and organic providers. It might lead to even more interesting “twists” on traditional items. This looks so yummy yummy! Ed: I get most of my fruits from a local fruit stand since the timing of the local farmer’s market doesn’t work with my schedule. Quality and freshness of ingredients is critical to great food, no doubt. 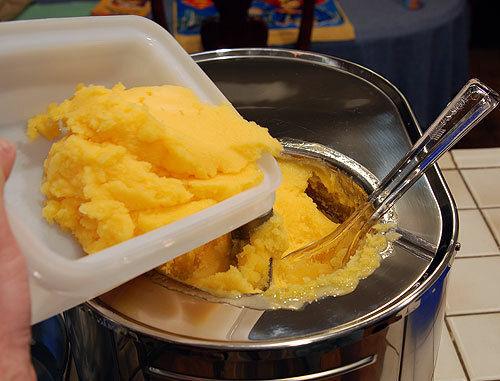 Shirley: I was really surprised at how good this sorbet was. Everyone really enjoyed it. Gorgeous! This sounds like a great recipe. 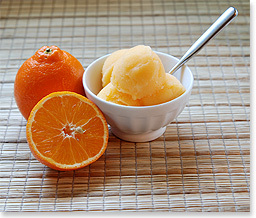 I’m still looking for citrus recipes since spring just refuses to come to MN! This looks so wonderfully fresh and I love the extra special flavour that tangellos lend to everything – making just about anything better than a plain o’le orange. No wonder your son loved it. 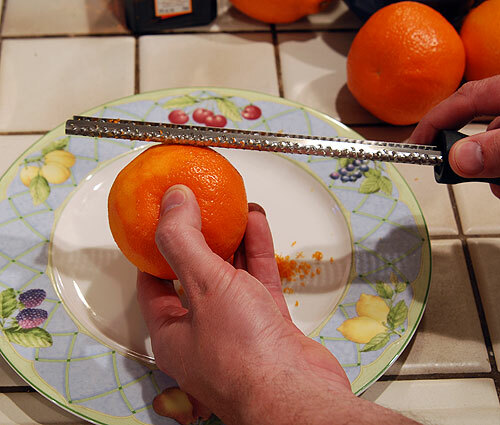 lovely – i just ate the last tangelo i had in the house, so i guess i’ll have to get some more. 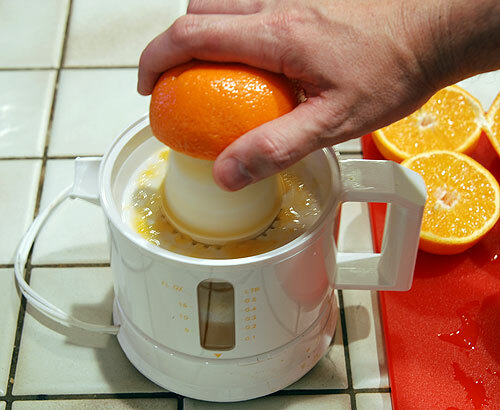 i always crave citrus more in the summer, so it’s nice to have a late-season orange. i’m still debating how to inaugurate the ice cream machine for the season, so i’ll have to add this to the list. 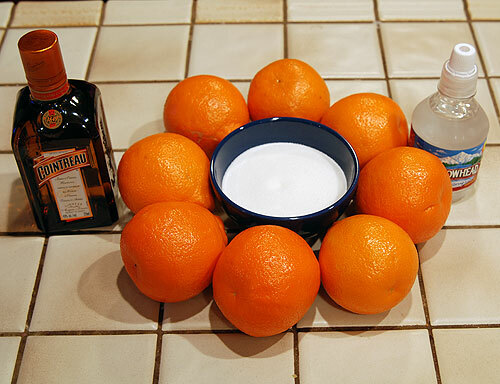 Zoe: Yes, this was a really nice twist on my son’s request for orange sorbet. 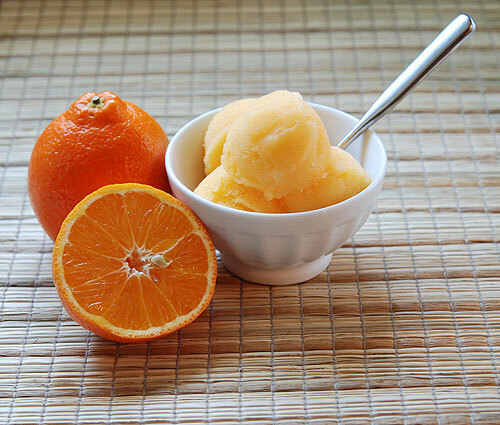 The juice of the tangelo is plentiful and wonderful, and the cointreu really gave it a little extra softness and complexity that made this a special sorbet. diva: thanks for stopping by! 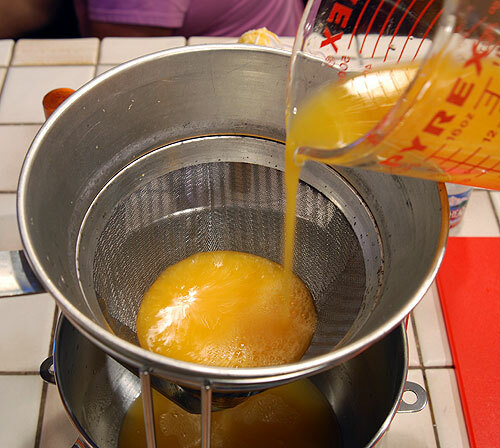 michelle: sorbet is a great excuse to fire up the ice cream maker. 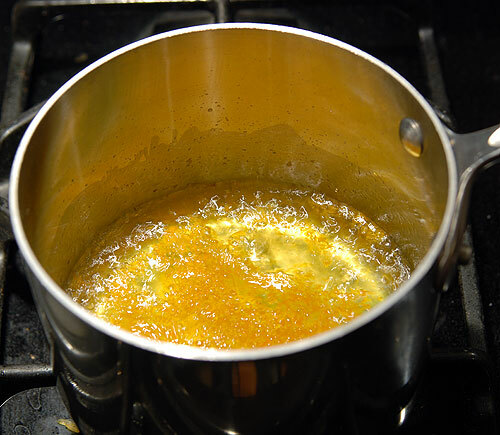 If you are looking for something even easer, try my peach sorbet recipe–there is no cooking. Sorry, I must be a bit dense, but what do you do with the cooled water, sugar and zest? 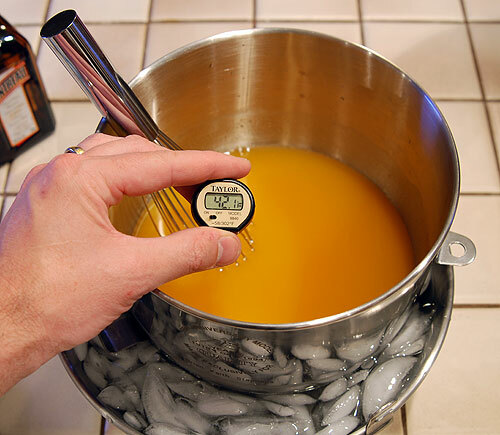 In your recipe above the last mention of it is it being chilled to 45 degrees. 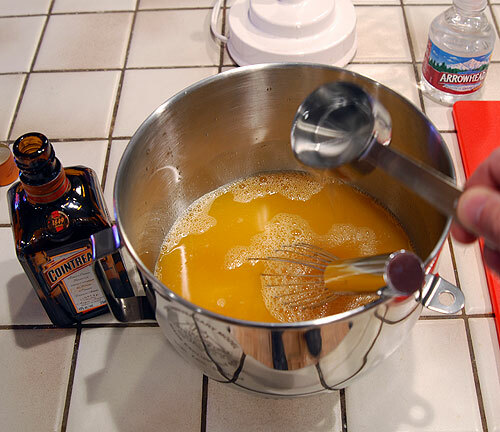 Do you mix it in with the juice and Cointreau? Yeah, you mix it all together. I’ve updated the recipe to make that more clear.